Playoffs have not arrived yet, but this Chiefs-Jaguars matchup on Sunday displays tension that could make this the most important game for each team so far. The Chiefs remain the only undefeated team in the AFC. Meanwhile, the Jaguars are 3-1 and already have a win over the Patriots. Now, let’s take a look at some headlines going into Sunday. The biggest story to watch going into this game is the matchup between the Chiefs high flying offense and the Jaguars nasty, shutdown defense. Defensively, Jacksonville ranks first in the league in yards per game, scoring defense and passing defense. The Chiefs rank first in scoring offense and also have the fewest giveaways in the league. There will be many matchups to watch when these two units are on the field. You have Patrick Mahomes, who has yet to throw an interception, against Jacksonville’s tenacious pass rush. There’s Kareem Hunt trying to run against some of the fastest run-stopping linebackers in the league, Telvin Smith and Myles Jack. What my be the most intriguing matchup though, is Tyreek Hill vs Jalen Ramsey. Hill and Ramsey both sounded off in interviews this week about the matchup. So many Chiefs fans have said this week how badly they want to see Hill speed past Ramsey. He is one of the best corners in the league, and also one of the best trash talkers. Ramsey’s mouthpiece is hardly ever in, due to the constant talk against his opponents. Last year, he got to Bengals wide receiver A.J. Green so bad, that Green lashed out and started throwing punches at Ramsey between plays. Generally, Green is known for his calm, mild manner. Hill will have to keep trying to find ways to win even if things start slow. It will certainly be a fun matchup to watch all game long. We have already mentioned the defense, but now we must take a look at Jacksonville’s offense. While Mahomes has been tearing it up for the Chiefs, Blake Bortles has had an underappreciated performance to start the season. Other than in the Jaguars only loss, Bortles has continued to mix the ball amongst his receivers who have been so wide open that he doesn’t have to make difficult throws. People look to the defense and to the running game’s success, and rightfully so, but there is no denying how important a role Bortles played in leading Jacksonville to the AFC Championship Game last season. The Chiefs defense has struggled out of the gate, but there are still some positives. The top cornerbacks are not any worse than last year’s top three for the Chiefs. Yes, Marcus Peters had a lot of interceptions, but it was time for a change. Kansas City will actually get a chance to go against him later in the year. The Chiefs do have the best third-down defense in the league with enough crucial stops in the fourth quarter to preserve victories. They will have to be able to run with these Jacksonville receivers, who do not go down easy once they get out in space. Dede Westbrook, Keelan Cole and Donte Moncrief have combined for 692 receiving yards, which represents sixty-three percent of Bortles’ output. The trio has also combined for four of the seven passing touchdowns that Bortles has thrown. The Chiefs generally come out strong at home, and that could be good against the Jaguars. Bortles has a 79.2 quarterback rating on the road, compared to a 99.1 quarterback rating at home. Kansas City will certainly need a fast start on offense in this contest, and that’s something they have done throughout the start of 2018. The Chiefs have outscored opponents 83-56 in the first half, and 52-9 in the first quarter. Thank you for reading. Enjoy this Chiefs-Jaguars game, as well as all of the others occurring in the NFL this week. 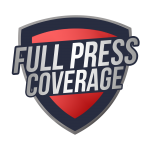 For more comprehensive content, be sure to check out Full Press Coverage daily.